The long term rent of a nice spacious fully furnished apartment 3 + kk (90 sqm.) on the 2nd floor of a maintained house without a lift in Prague 4, Michle location, Čapkova street. The apartment consists of a spacious living room connected with a kitchen and a dining area, 2 separate bedrooms, a nice bathroom with a tub and a hall. 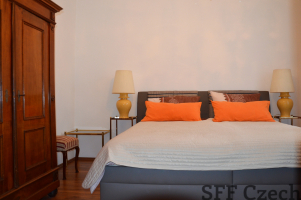 Both bedrooms have a large double bed. The apartment has wardrobes, chests of drawers, sofa, dining table, chairs, all kitchen appliances, washing machine, lamps, curtains, carpets, paintings, crockery and other small equipment. 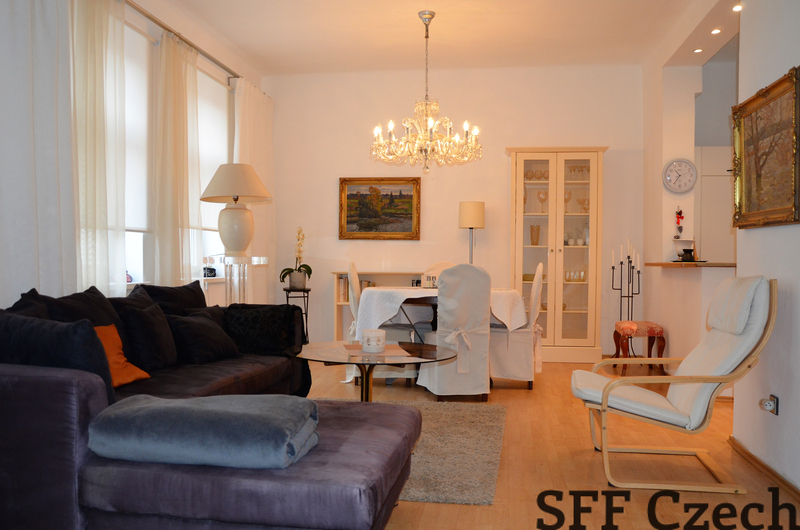 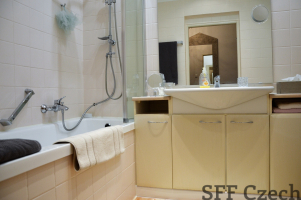 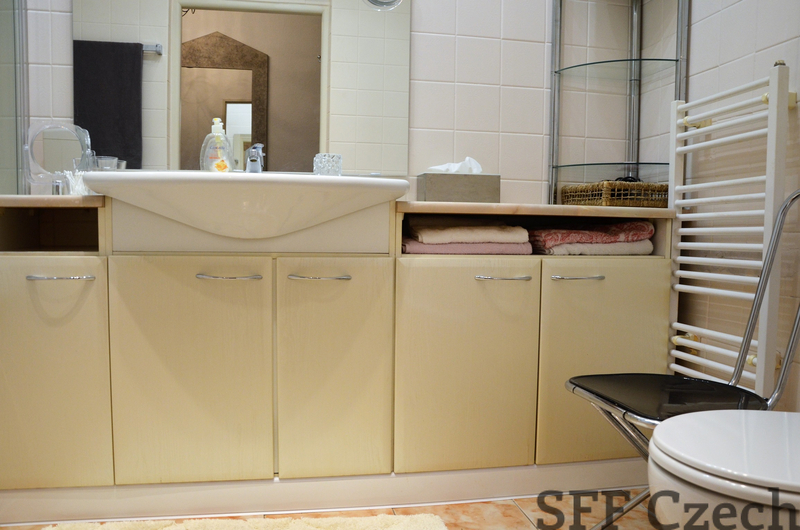 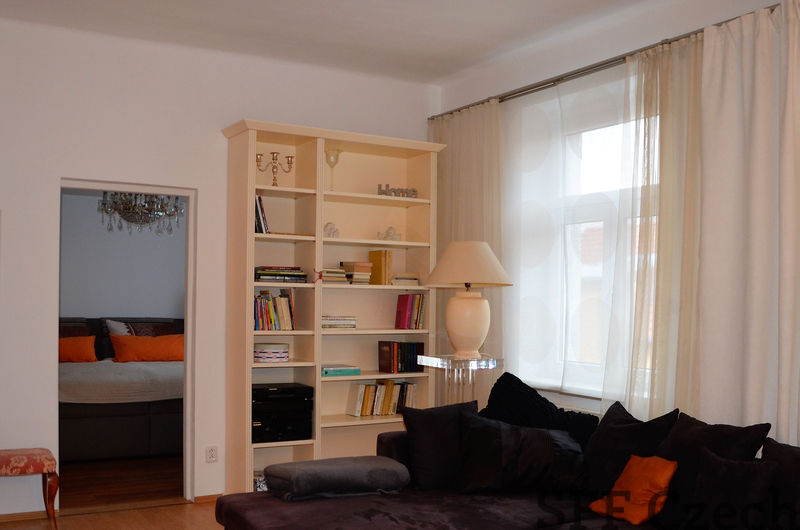 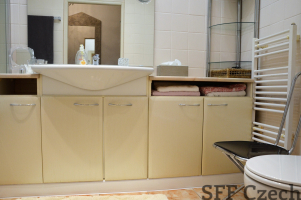 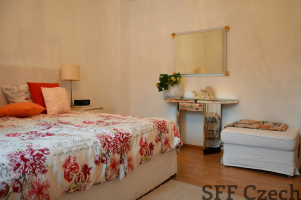 We recommend to clients who are looking for quiet, nice living near the center of Prague. 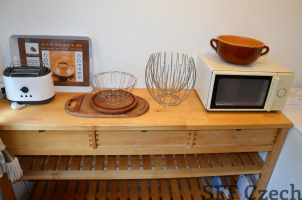 The apartment is suitable for sharing by workers or students. 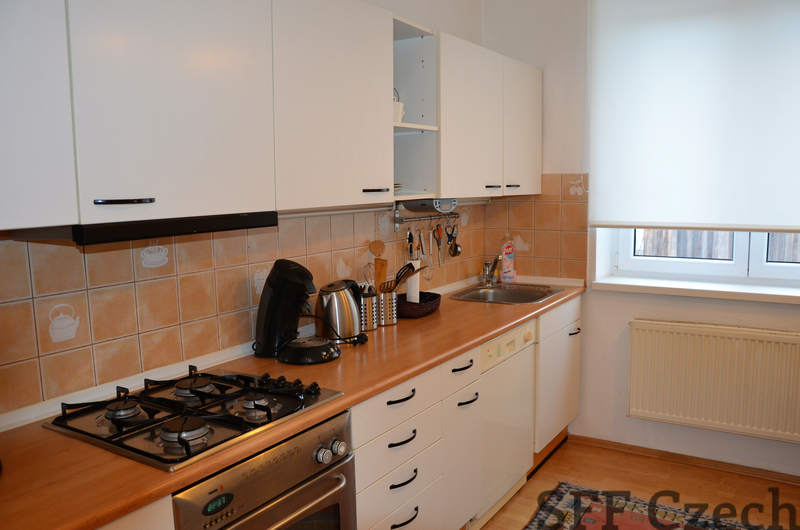 4 minutes walk to public transport, I.P.Pavlova square about 10 minutes. 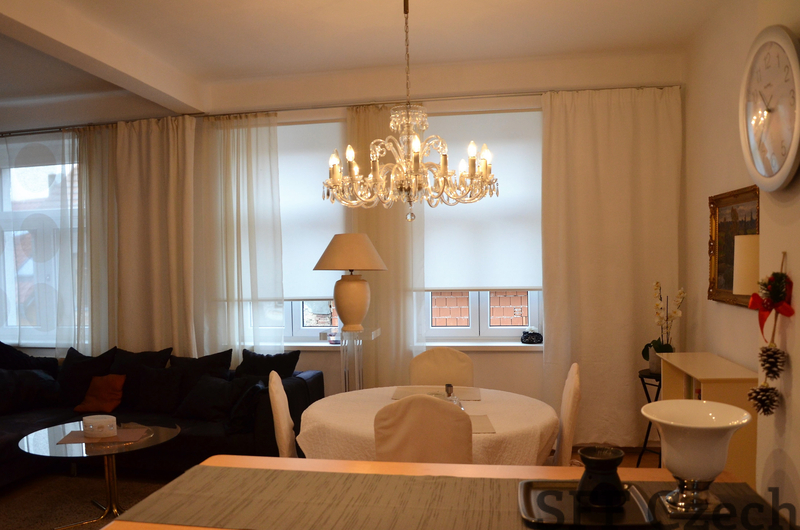 The owner lives in the house.